Our team is highly experienced and has extensive expertise in financial markets across a range of disciplines acquired primarily in large international financial institutions. 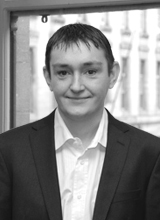 Ciaran has responsibility for investor relations and finance. 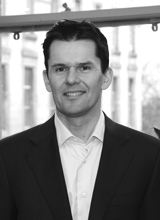 Prior to joining the firm Ciaran was a director of Barclays Capital (2004 – 2012) and has held senior sales management positions in ABN Amro (2001 – 04) and Bank of Ireland (1998 – 01). 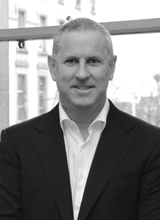 He traded interest rate products as part of a proprietary trading team in Bank of Ireland (1990 – 98). He holds a B.Comm degree from University College Dublin and various professional qualifications. Conor is responsible for portfolio management. Conor established Anark Capital Limited (now Three Rock Capital Management Ltd ) in November 2008 with a view to developing it into a Commodity Trading Advisor. As part of this process he built up an audited track record trading his own funds and those of friends/family through a managed account structure from January 2009. From 2000 – 2008 Conor successfully traded his own funds. Prior to this he worked as a proprietary foreign exchange trader in Bank of Ireland (1995 – 2000) and National Irish Bank (1993 – 1995) . He holds a B.Comm and MSc. in Finance from University College Dublin. 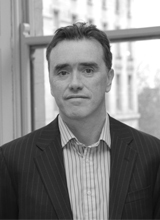 Fergal has responsibility for operations, risk management, technology and analytics. Prior to joining the firm Fergal was a senior fixed income trader for Rabobank Ireland (2002-2012) and Bank of Ireland (1995-2002). He has broad experience across fixed income trading, balance sheet management and financial engineering. He holds a first class honours Bachelor of Actuarial and Financial Studies degree from University College Dublin. Gary is responsible for managing all aspects of the compliance program in the firm. In his former role he worked for Thomson Reuters (2001-2011) as a Major Account and Relationship Manager. Previously he worked for National Irish Bank (1991-2001) as Chief FX dealer. He holds a BSc from Trinity College Dublin and an MSc in International Finance from Herriot Watt University in Edinburgh. He is a member of the Association of Compliance Officers of Ireland. Jim is one of Ireland’s leading economists. He has worked as Chief Economist for Friends First Group (a subsidiary of Eureko) since 2000. He previously worked at Bank of Ireland Group (1991-2000) where he was Chief Economist (1995 – 2000) and at AIB Group (1987-1990) as Treasury Economist. He is owner manager of Jim Power Economics Limited, a consultancy business and is a part time university lecturer. He is a frequent media contributor and a published author. 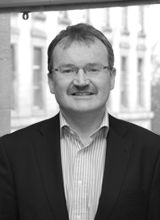 Jim holds a BA in Economics and Politics and a Master of Economic Science Degree from University College Dublin.